#AceHistory2ResearchNews – Dec.27:This FRONTLINE series is an intellectual and visual guide to the new and controversial historical evidence which challenges familiar assumptions about the life of Jesus and the epic rise of Christianity. This site is anchored by the testimony of New Testament theologians, archaeologists and historians who serve as both critics and storytellers. They address dozens of key issues, disagreements and critical problems relating to Jesus’ life and the evolution of Christianity. Throughout the site, maps, charts (for example, the fortress of Masada), ancient texts (including Perpetua’s diary), pictures of the archaeological discoveries, ancient imagery, and audio excerpts from the television program complement and illuminate the scholars’commentary. A new addition to this site is the edited transcript of a two-day symposium at Harvard University. This symposium was a follow-up to the FRONTLINE broadcast and featured scholars’ presentations, workshops and audience discussion. 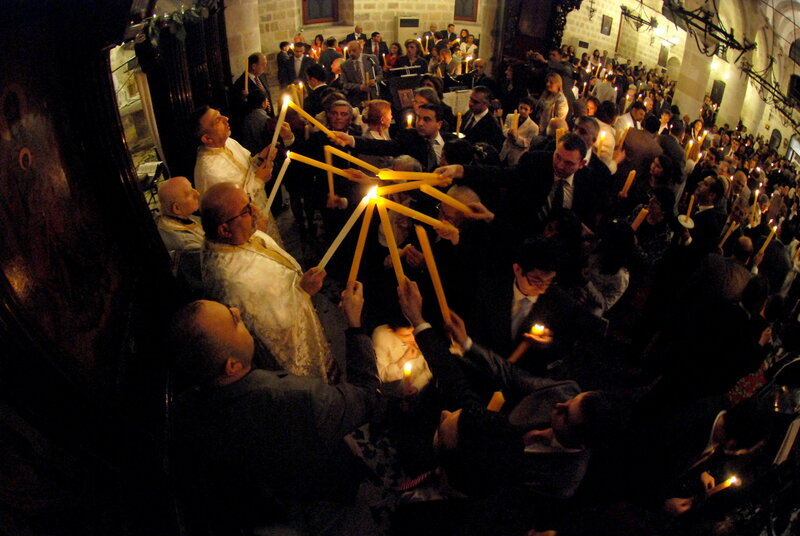 AceHistory2Research – JERUSALEM – April 19 – The Holy Fire (Greek ‘Αγιος Φως, literally “Holy Light”) is a miracle that occurs every year at the Church of the Holy Sepulchre in Jerusalem on Holy Saturday, the day preceding Pascha. It is considered by many to be the longest-attested annual miracle in the Christian world, though the event has only been documented consecutively since 1106. In many Orthodox countries around the world the event is televised live. The ceremony begins at noon when the Patriarch of Jerusalem or another Orthodox Archbishop recites a specific prayer. 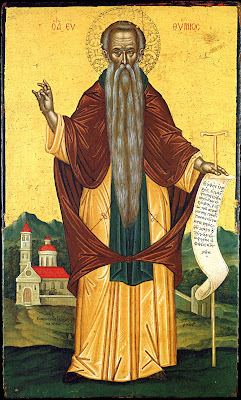 The faithful gathered will then chant “Lord, have mercy” (Kyrie eleison in Greek) until the Holy Fire descends on a lamp of olive oil held by the patriarch while he is alone in the tomb chamber of Jesus Christ. The patriarch will then emerge from the tomb chamber, recite some prayers, and light either 33 or 12 candles to distribute to the faithful. The fire is also said to spontaneously light other lamps and candles around the church. Pilgrims say the Holy Fire will not burn hair, faces, etc., in the first 33 minutes after it is ignited. Before entering the Lord’s Tomb, the patriarch or presiding archbishop is inspected by Israeli authorities to prove that he does not carry the technical means to light the fire. This investigation used to be carried out by Turkish soldiers. The Holy Fire is first mentioned in the documents dating from the 4th century. A detailed description of the miracle is contained in the travelogue of the Russian igumen Daniel, who was present at the ceremony in 1106. 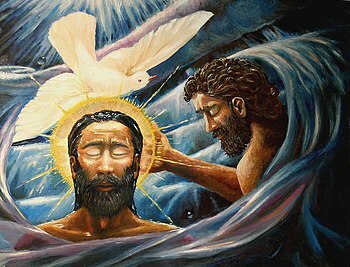 Daniel mentions a blue incandescence descending from the dome to the edicula where the patriarch awaits the Holy Fire. Some claim to have witnessed this incandescence in modern times. During the many centuries of the miracle’s history, the Holy Fire is said to have descended on certain other occasions, usually when heterodox clergymen attempted to obtain it. According to the tradition, in 1099, for example, the failure of Crusaders to obtain the fire led to street riots in Jerusalem. It is also claimed that in 1579, the Armenian patriarch prayed day and night in order to obtain the Holy Fire, but the Fire miraculously struck a column near the entrance and lit a candle held by the Orthodox patriarch standing nearby. Upon entering the temple, many Orthodox Christians venerate this column, which bears marks and a large crack attributed to the bolt of lightning from the Holy Fire.